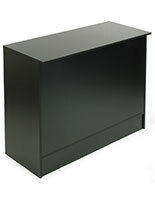 This 4’ ledgetop counter with graphics is the perfect in-store retail fixture. 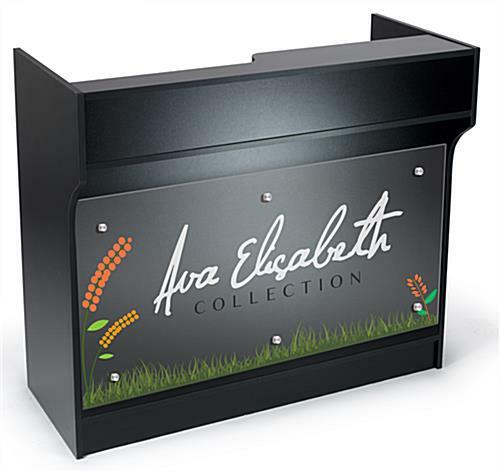 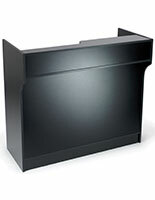 The cash wrap is a useful point-of-sale display and features 3 adjustable interior shelves, a check writing shelf, a pull-out drawer and a recessed well design. 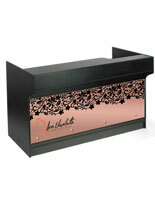 The ledgetop counter is also sold with a custom printed graphic of your choice. 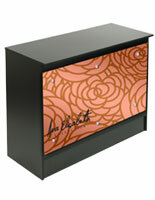 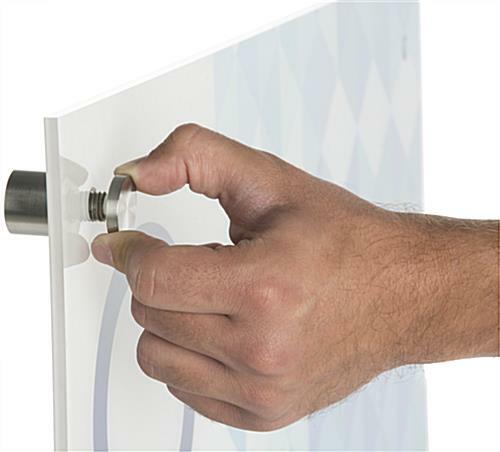 The panel is affixed to the cash wrap with silver standoffs and is printed on the back of the acrylic sheet. 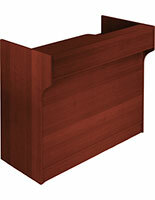 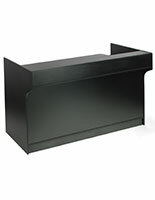 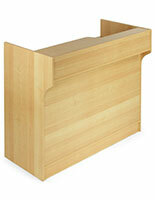 Use this ledgetop counter with custom graphics to showcase your logo, company name, slogan or product images. 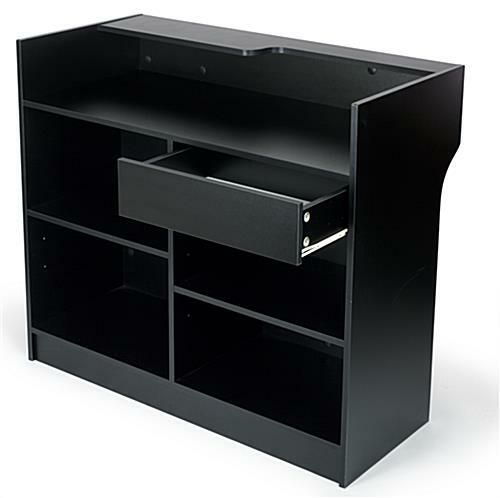 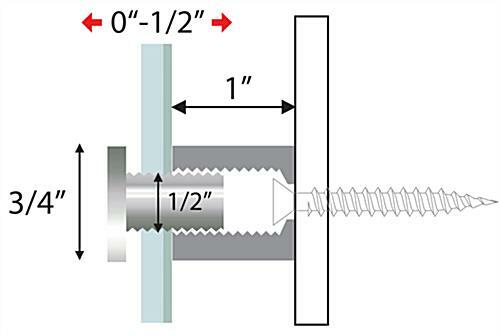 The unit ships unassembled to save on costs. 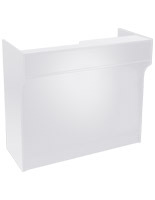 48.0" x 42.0" x 22.3"